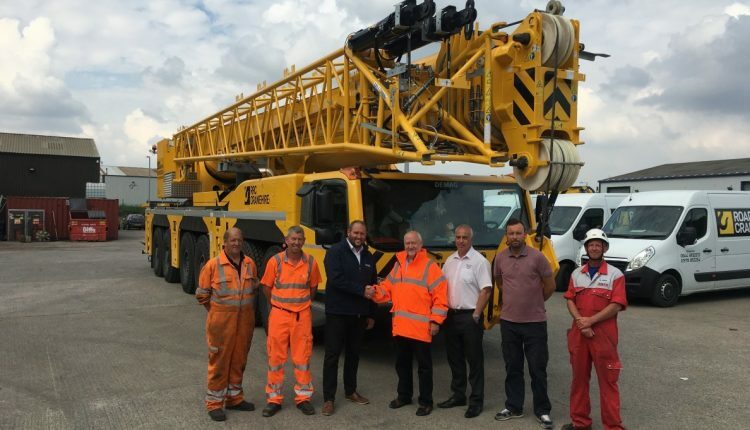 The United Kingdom’s premium crane service provider for mobile cranes to the construction industry, RRC Crane Hire Ltd together with Road Rail Cranes Ltd, has added a new Demag® AC 300-6 all terrain crane to its sizeable specialized equipment fleet, the first unit to be delivered in the UK. The 300-tonne (350 US ton) crane delivers class-leading reach combined with strength, including the ability to lift 15 tonnes on a full 80 meter boom. In total, the RRC Group owns and operates more than 24 Terex and Demag cranes.